Glacier Valley Eco Tours is a NZ owned and operated local family business who specialise in small group guided walking tours in Glacier Country NZ. Our lead guide has been guiding in NZ in our National Parks for the last 16 years, and in the Glacier Valley's here for the last 11 years. 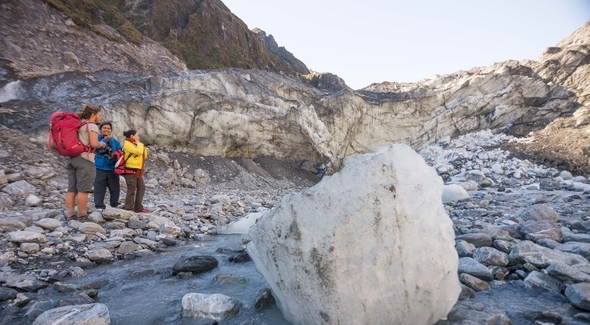 Our small group guided tours give you the unique opportunity to have loads of one on one time with your guide, who will give you information on local flora, fauna, glaciology, geology, history of the area while exploring our tours in Franz Josef Glacier, Fox Glacier, Lake Matheson and Okarito areas. We tailor groups to suit your ability, and take all ages from babies to the elderly. We can venture off the beaten path in most areas* to explore these areas further and more privately away from the unguided public. This year we have all NZ 'Kiwi' Guides as well! 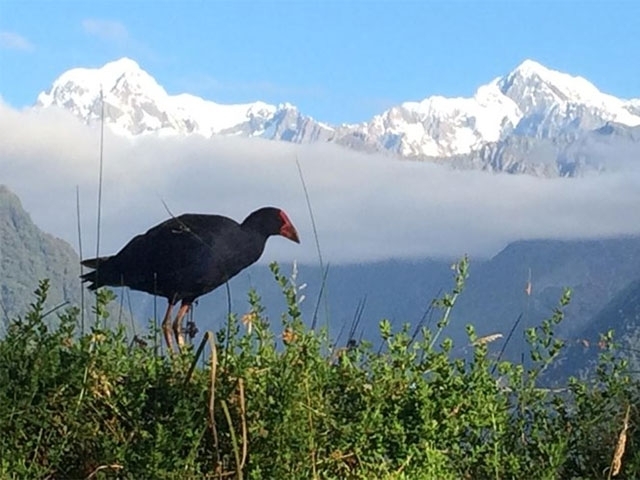 Glacier Valley Eco Tours hold a Department of Conservation license to operate guided tours in the South Westland World Heritage area. We provide guests with quality, informative, friendly and relaxed eco-style tours. Our tours go at your pace, with plenty of opportunities to take photos, stand under waterfalls, collect ice out of the river, and treasure hunt for native flowers, birds, mushrooms and wildlife. All tours includes complimentary morning/afternoon tea - a break to sit and admire a magnificent view while having a cuppa. Join us on a REAL nature tour of our beautiful area in Aoteaora NZ. * Does not include Lake Matheson. Subject to ability and track conditions. Remember: South Westland is a rainforest setting and at times the climate can be very wet. Don't let the rain keep you indoors. We provide good quality raincoats, large umbrellas and hot drinks and snacks. You will be surprised how much fun it is out in the rain! Private tours also available, please enquire. Lunch packs (for the combo tours) available $25 per person, please enquire. Also check out our Tui Gallery, a local artists gallery featuring a collection of handmade clothing, jewellery, woodcarvings, handmade soaps, greenstone and 'Aotea' (South Westland greenstone), paintings, purses, balms and locally made sandfly repellent.